1. Pre-heat your grill to high and the oven to 400*F. Coat the Salmon with olive oil and season with salt and pepper. 2. Place the Salmon on the grill for 3 minutes, Flip and grill for another 2 minutes. Place the Salmon in the oven for 4 minutes. 3. In the meantime mix all the salad ingredients in a large bowl excluding the avocado and set aside. 4. Mix the lemon juice, zest, salt, pepper and olive oil in a cup. Set aside. 5. 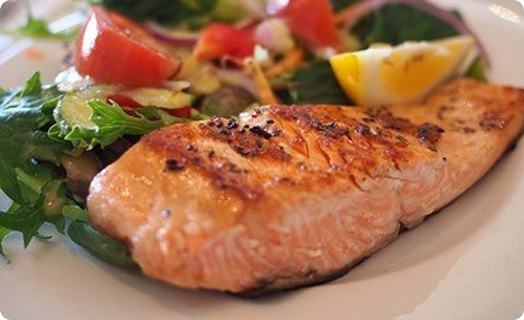 Remove the Salmon, Mix the salad with as much dressing as you prefer. Set the Salmon to the side of the plate to avoid wilting the lettuce and top with sliced avocado.